Love this easy recipe from Bill Granger. You can use a korma curry and whatever is hiding in the fridge but I love splashing out on a decent jar of massaman. This goes so well with cauliflower rice as there's lots of yummy sauce and a side of Asian Greens. Place the mince, onion, garlic, breadcrumbs, lemon zest, coriander and 3 tablespoons of mint in a large mixing bowl. Rinse your hands under cold water and, without drying, shape the mixture into 24 small meatballs. Place a large, non-stick frying pan over medium-high heat. Add 1 tablespoon of the oil and, when hot, add half the meatballs and fry for 4-5 minutes, turning often, until lightly browned on all sides. 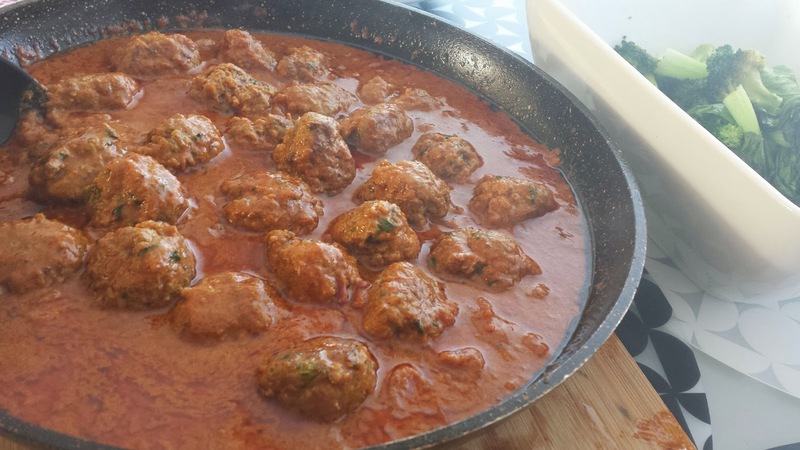 Transfer to a plate and repeat with more oil and remaining kofta. Return the pan to the heat, add the remaining oil, curry paste and ginger. Fry for 1 minute, stirring constantly. Tip the tomatoes and coconut milk into the pan and stir well. Add the cinnamon stick and season with a little sea salt and plenty of black pepper. Bring to the boil, then reduce the heat and simmer gently for 3 minutes. 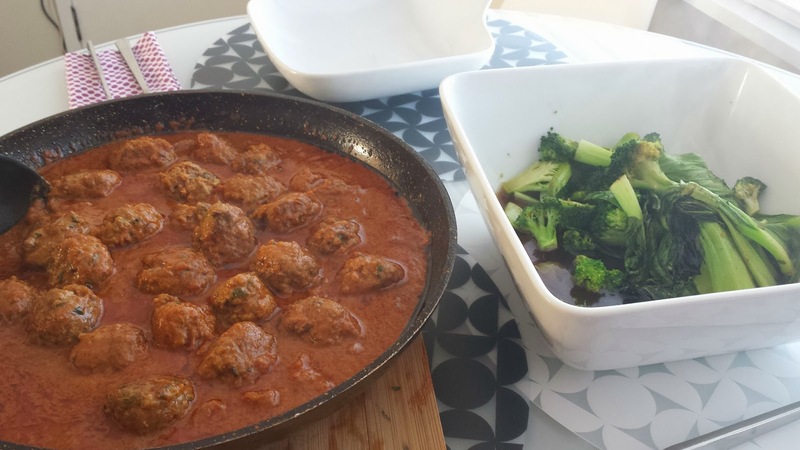 Return the meatballs to the pan and cook in the curry sauce for a further 5 minutes, until tender and cooked through. Place cauliflower rice in serving bowls and top with curry scattered with the red-onion slices & mint leaves. Enjoy!